Homefront America volunteers put together 150 Thanksgiving food bags for military families stationed at Camp Pendleton, CA and surrounding military communites. Each bag contained non-perishable food items (mashed potatoe flakes, canned vegetables, sweet potatoes, cranberry sauce, gravy mix, turkey stuffing, and pumpkin pie filling and pie crusts). 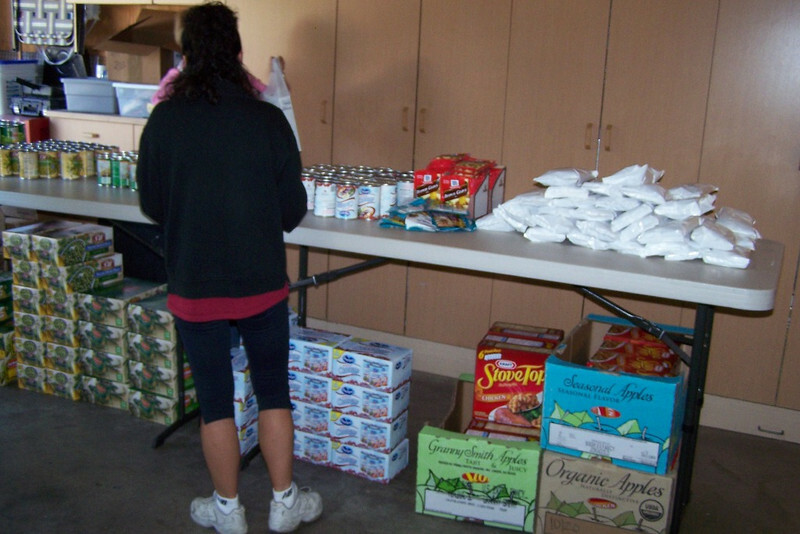 The distribution was held at Camp Pendleton, CA on November 20, 2009. In addition to the dinner fixings, the children also received warm winter jackets.